Welcome to this MATLAB Video tutorial. 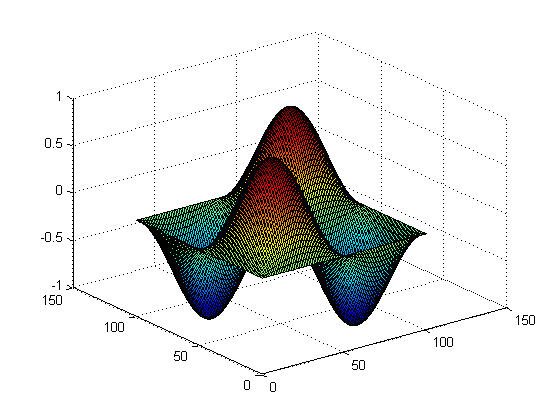 If you have never used MATLAB before, this demonstration will get you started and show you where to go to next to learn more. You can use the colon operator to simplify the creation of equally spaced arrays. Adding a semicolon avoids command output being echoed to the command window. 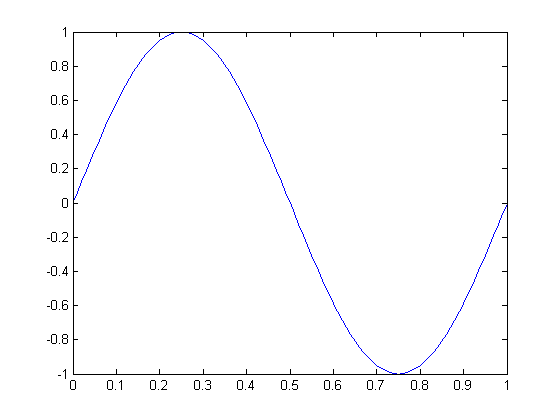 This makes use of the constant pi, pre-defined in MATLAB. plot(t,y) % the plot command. ...or you can use functions. You can browse a list of available functions in MATLAB by clicking this icon, and browsing functions by category or by searching using keywords here. Here we will generate a matrix of random numbers. Double clicking enters the function name. You can access help on all of MATLAB by clicking on the question mark here, then browse or search for information. You can access demonstrations and getting started documentation from this message bar. You can find the dimensions of an array with the size function. ...which is also shown in the workspace browser. b = a' % b = the transpose of a. ...which performs element-wise multiplication, where the corresponding elements of each matrix are multiplied. ...to confirm you get the identity matrix. data(1:3,2:end) % rows 1 to 3 and columns 2 to the end. data(1:2, :) = 0 % set rows 1:2 and all the columns to zero. The colon operator used on its own in indexing, specifies "all elements", in this case, all columns. Note that array indices in MATLAB start at 1. ...which creates a surface plot. That concludes the demonstration. You can try some of these examples in MATLAB now or watch one of the other videos.